Partnership includes slot, video poker and video bingo games. Innovative supplier Relax Gaming has entered into a B2B partnership with gaming platform Red Rake Gaming. 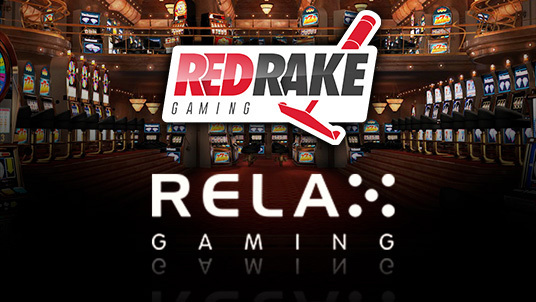 Red Rake offers an impressive and wide-ranging portfolio, comprising of slot, video poker and video bingo games, which will be available to operators via Relax’s Silver Bullet platform. The platform aggregates hundreds of titles from a number of leading suppliers. While it is primed for mobile use, it is available on all online channels. Daniel Eskola, Relax CEO, said: “This deal allows us to extend the depth of offering on the Silver Bullet platform, and we look forward to taking all this content to our clients“. “We are impressed by Red Rake’s content and we are sure their unique products will be enjoyed by our network of customers“. Carlos Fernández, Head of Business Development of Red Rake said: “This partnership will help us grow our audience and we are excited to have Relax Gaming’s expertise on board“. “We have a growing number of high-quality games to take to the market and Relax Gaming’s high quality platform and its impressive portfolio of first class operators will play an important role in distributing our games to a broader customer base“.